Forgetting why you came into a room can be frustrating but it does not mean you are losing your mind. As everyone ages, the brain changes. Some of the cognitive processes slow down making it harder to learn new things. These same changes make it more difficult to ignore distraction, which interferes with the memory process. Here are five ways to meet the challenges of these normal processes and keep the mind sharp. 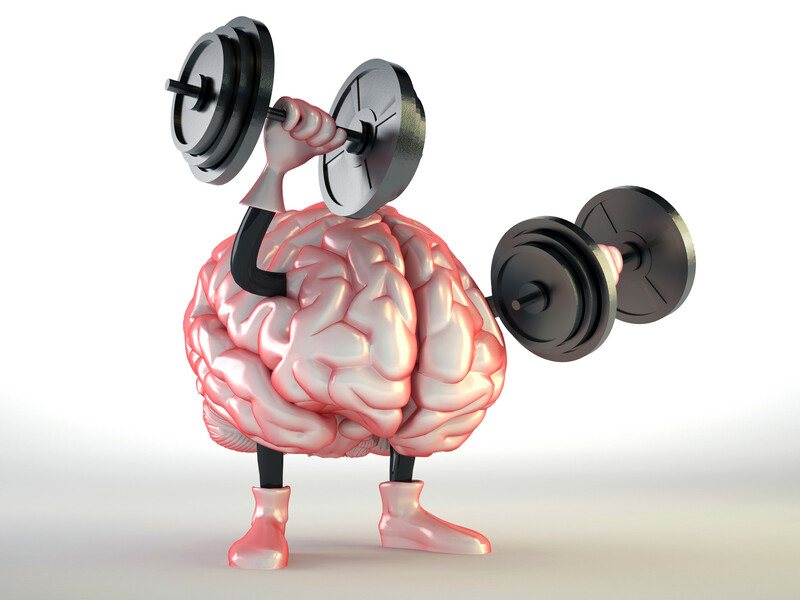 Experts believe that learning new things can help keep your memory strong. The more the brain is challenged, the more communication happens between brain cells. This keeps the cells strong and functioning. This doesn’t necessarily mean returning to a classroom. There are many ways to learn new things like reading, taking up a hobby or volunteering. There is an added benefit if these activities are done with others. Social interaction can prevent cognitive decline. Social activity improves clarity as you read the subtle social cues from others in order to interact. The goal is to preserve and build brain connections, so get out there and join others in learning something new. The more senses that are used in a learning process, the better the experience and memory. The idea is to activate parts of the brain that may not be used as often. So, when you try a new dish, smell it first. Then taste it and try to guess the flavors. Look at it and register the colors and ingredients. Touch the dish to check the temperature. By consciously activating the different parts of the brain, you are keeping them healthy. Find activities that use the senses like taking a ceramics class where you feel the clay, see how it changes, hear instructions on how to use it and create a piece. If you are spending hours looking for your reading glasses, you are missing the opportunity to learn new things and probably won’t remember that meeting you were supposed to attend. Figure out ways to help your brain function more effectively by putting your glasses in the same place, making lists and using calendars. Try coming up with ways to remember things like recalling your car is parked in “Row 2 on Level G” by associating it with the fact that you have two grand kids or “2 G.” The less time your brain spends feeling frustrated, the more time it has to learn and remember new things. The National Sleep Foundation suggests getting seven to nine hours of sleep per night. While you sleep, your brain becomes active. It is a time for the brain to reorganize the events of the day, store memories properly, lock in the new things learned and figure out what needs to happen the next day. Sleep is also the time when the cerebral spinal fluid is pumped quickly throughout the brain, acting like a vacuum cleaner. This fluid carries away waste products and toxic proteins that can lead to dementia over time. Surprisingly, the brain is one of the organs with the largest amount of fats so eating healthy fats can help your brain. Focus on foods like leafy greens, fish, beans and nuts because they have lots of Omego-3 fatty acids that help the brain and calm any mood disorders. Stay away from sugar-laden beverages because they can actually cause the brain to shrink. Keeping your brain alert and active is easy when life is going well but can be more challenging after a medical event. Life’s many activities may have to temporarily stop during a hospital stay—and can be difficult to resume during a time of recovery. It is not uncommon to feel isolated when your ability to get around is limited. One way to avoid this time of isolation is to choose to recover in a short-term care rehabilitation center where there is support, interesting activities and other people nearby. There is both time to rest quietly as needed and opportunity to interact with others when you are ready. One of the leading choices for recovery is Glenview Terrace where appropriate and professional care is offered in an elegant environment. The Rehabilitation Pavilion at Glenview Terrace has its own private entrance, lobby, gym and dining room making it one of the top choices on the North Shore. While recovering at Glenview Terrace, each guest receives personalized care from a caring staff to fit their needs. You can be assured that medications are delivered in a timely manner. One-on-one physical, occupational and speech therapies are offered seven times a week. All guests have access to state-of-the-art equipment in Glenview Terrace’s gyms. Compassionate staff offer the encouragement and positive reinforcement needed to move you toward your goals. As recognition for its high standards of health care quality and safety, Glenview Terrace has received Medicare’s highest five-star quality rating, and has earned the prestigious Gold Seal of Approval® Certification for Post-Acute Care and Accreditation for Nursing Care from The Joint Commission, the nation’s leading and most respected health care accrediting authority. Glenview Terrace delivers this care in an elegant setting that begins with beautifully landscaped grounds and continues into the spacious, well-appointed rooms. There are many opportunities for interaction with others during planned activities. Guests can also choose to relax in their rooms with a stunning array of amenities and services to pamper them. Recovery doesn’t need to be a boring, lonely time. Choose to stay at Glenview Terrace where you can be assured of a positive, meaningful experience—for your body and your mind. For additional information or to arrange a tour, visit glenviewterrace.com or call 847-729-9090.